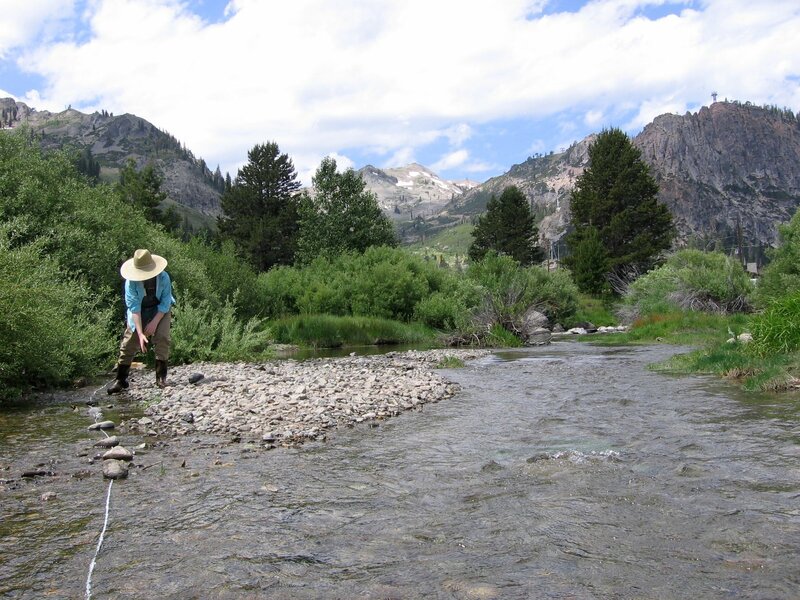 This collaborative project with Oregon State University represents the continuation for three years of the Centers for Transformative Environmental Monitoring Programs (CTEMPS) serving the hydrology and environment science communities with fiber-optic distributed temperature sensing systems and developments. This project was recently awarded an NSF Major Research Instrumentation grant to expand our DTS systems and to bring in Smith College into the CTEMPs team. A full description of CTEMPS and how to request instrumentation can be found at www.ctemps.org. van de Giesen N, S.C. Steele-Dunne, J. Jansen, O. Hoes, M.B. Hausner, S. Tyler and J. Selker. 2012. Double-ended calibration of fiber-optic Raman spectra distributed temperature sensing data. Sensors, 12(5):5471-85. Tyler, S.W., J.S. Selker, M.B. Hausner, C.E. Hatch, T. Torgersen and S. Schladow. Environmental temperature sensing using Raman spectra DTS fiber optic methods. 2009. Water Resources Res DOI: 10.1029/2008WR007052. Suarez, F., J. Aravena, M. Hausner, A. Childress and S.W. Tyler. Assessment of a vertical high-resolution distributed temperature sensing system in a shallow thermohaline environment. 2011. Hydrol. Earth Syst. Sci., DOI: 10.5194/hess-15-1081-2011. Neilson, B.T., C.E. Hatch and S.W. Tyler. Effects of solar radiative heating on fiber optic cables used in aquatic settings. 2010. Water Resources Res., DOI: 10.1029/2009WR008354. Sayde, C., C. Gregory, M. Rodriguez, N. Tufillaro, S. Tyler, N. van de Giesen, M. English, R. Cuenca and J. Selker. 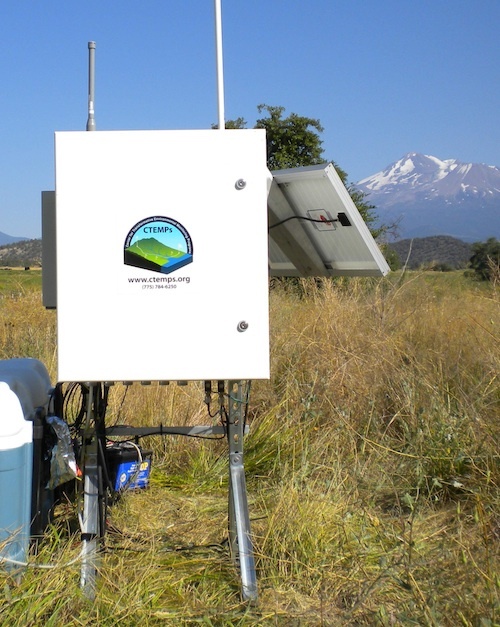 Feasibility of soil moisture monitoring with fiber optics. 2010. Water Resources Res., DOI: 10.1029/2009WR007846. Steele-Dunne, S., M. Rutten, D. Krzeminska, M. Hausner, S. W. Tyler, J. Selker, T. Bogaard and N. Van de Giesen. 2010. Feasibility of soil moisture estimation using passive distributed temperature sensing. Water Resources Res., DOI: 10.1029/2009WR008272. Tyler, S.W. and J. Selker. New User Facility for Environmental Sensing. 2009. EOS –Transactions of the American Geophysical Union. pp. 483. Tyler, S.W., J.S. Selker, M.B. Hausner, C.E. Hatch, T. Torgersen and S. Schladow.2009. Environmental temperature sensing using Raman spectra DTS fiber optic methods. Water Resources Res., DOI: 10.1029/2008WR007052.